We are very excited to learn that Zomba Prison Project has received a Grammy nomination for Best World Music Album of the year. The album,“I Have No Everything Here”, features the music of men and women held at an overcrowded maximum security prison in Zomba, Malawi. Many of the prisoners have come from lives of extreme poverty, and while some are serving life sentences for murder and theft, others are being held for crimes like witchcraft or homosexuality. The conditions inside the brick walls of Zomba Prison are extreme and severe. Still the music-making is a multi-generational affair with some members as young as their early twenties, while a few select others have reached more than sixty years of age. Each of the songs on the album were written by the inmates. 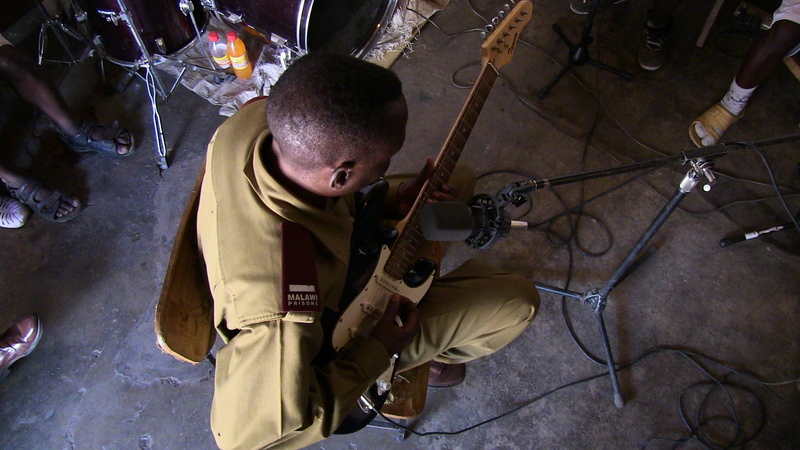 From the unaccompanied vocals on the track “I Am Alone” to the bass line on “Women Today Take Care of Business,” listeners are exposed to the range of musical styles and human sentiment existing within the Zomba Prision. Through the Zomba Prison Project, three of the women involved have gained release from their sentences. And three other cases are now actively under review due to the funds that have been raised. The hope is that these efforts will be ongoing and more prisoners will be advocated for as a result of awareness and support brought about through the “I Have No Everything Here” record. Special congratulations to producer Ian Brennan and photographer & documentarian, Marilena Delli who birthed this extraordinary project and brought these voices to the world’s attention. Watch their mini documentary below to catch a glimpse of life and music within the walls of the Zomba prison.